The SELCOtv series “What Does That Mean?” is being revived with a new look and new definitions. The brief videos offer explanations of technology and library terminology and jargon. Two videos are up today; you can find them here. We will continue to post weekly, so watch SELCOtv for further episodes. If there are topics or terms you would like to see covered in “What Does That Mean?” please send those suggestions to pohara@selco.info. The 7 SELCO staff members were also coaches/cheerleaders for the region’s participants. Alice Henderson, Plainview Public Library, was the first Badge 5 earner in the entire state! Allyn McColley, Buckham Memorial Library (Fairbault), was the very first SELS 23 Mobile Things finisher! For those who did not have the chance to take on or finish this program, the state multitypes are bringing it back this fall. We don’t have a date yet, but have been told it will restart in mid-October. If you started it in the first round, you can pick up where you left off for this second round! So if you got through 15 of the things the first time, you will only have 8 to go to complete them all. Some of the apps used in this new round will be slightly different. Staff at Metronet are tweaking some of the things based on feedback and blog posts from round 1. The “Things” will be about the same topic, but the apps themselves might not be identical to those used earlier this year. One other change we hope to do in our SELS region is to have some of the 28 people who completed the Things in round 1 volunteer to be cheerleaders for this coming round. So keep an eye on your email box for this invitation if you were one of those who already completed the Things. Please don’t let the lack of a mobile device stop you from participating! 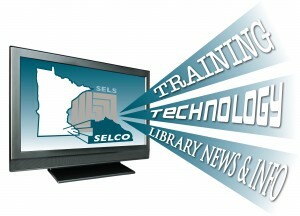 SELCO has loaner devices that can be checked out on a first come, first served basis. There’s a new program on SELCOtv! What Does That Mean? 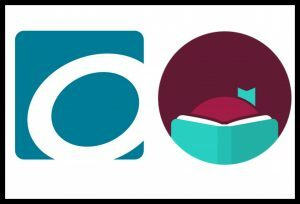 is a very short (about a minute) program featuring definitions of library and technology terms. Ever wondered what we means when she refers to SQL? Or tried to explain what digitization means to your Board? What does that mean? is the show for you. Each episode is short and sticks to just the facts with a quick, easy to understand definition of the term in question. Sometimes the term will be a piece of technology jargon. Sometimes it will be libraryspeak. And still other times, it might be one of those terms that state and federal bureaucracies just love to create. Regardless, What does that mean? will have you understanding whatever jargon the library and tech world can throw at you. What does that mean? will come out twice a week, starting the week of April 29, 2013. But here’s a sneak preview of our first episode: SQL. Enjoy!